One of the newest certifications by the Snow and Ice Management Association (SIMA) is the Advanced Snow Management (ASM). As the industry’s most prestigious and all-encompassing accreditation to date, ASM is all about increasing knowledge to improve upon customer service. BSR Services, which currently has three ASM team members, was among the first in the entire country to have employees earn this certification. The intense process involves snow-specific training designed to build stronger people and safer operations. Courses focused on safe plowing and snow blowing, ice management equipment and techniques, and sidewalk operations. BSR Services’ strength lies in its ongoing pursuit to maintain the highest industry standards. The company recently validated its journey by becoming the first Midwest company and the second in the country to earn the newly created ISO 9001/SN 9001 certification through the Accredited Snow Contractors Association (ASCA). This accomplishment is exclusive to professional snow contractors and designed to improve upon existing methods. The accreditation process involves an independent third-party audit that evaluates a company’s procedures and industry standards. The audit focuses on proper contractor training and implementation for the professional snow and ice management industry. The exam consists of 200 question test delivered in a qualified testing center. Once the individual becomes certified they are required to take (15) hours a year of continuing education each season. This ensures CSP’s are keeping up with the latest industry standards and technology. Hiring a Service provider for snow and ice management is an essential safety and financial decision. You need a trustworthy partner you can depend on. The Team at BSR will always be there for you. The ASCA developed these educational resources to support the insurance partnership with Mills Insurance, as well as to reinforce the ASCA’s Industry Standards and the ASCA’s verification quality management system, ISO9001/SN9001. Snow and ice professionals who complete 10 hours of ASCA-approved educational programming, and are ASCA members in good standing, earn the designation “ASCA Certified.” Certification (ASCA-C) is renewed on an annual basis and requires the completion of 10 hours of ASCA-approved education to meet the renewal requirements. At BSR, all office staff members are fully certified in the 101 and 201 level courses. To earn initial certification, the ASCA’s education committee requires the completion of the 101-level courses. The ASCA promotes continuing education, and in doing so, the education committee encourages an on-going commitment to learning. Individuals who have completed the 101-level courses can continue on to the 201-level courses at any time. 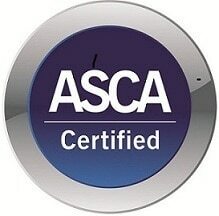 All of the educational courses here are ASCA-approved programs to qualify for “ASCA Certified” (ASCA-C) status. Each course includes a presentation followed by a short quiz. Individual certification reflects the commitment of our organization to our business, to professionalism and to adhering to industry standards. These courses cover topics ranging from office management information and systems to field operations. It is a very comprehensive ongoing approach to keep companies up to date with the latest industry standards and technology. Team BSR is always looking for ways to improve our level of service to our clients and find fiscally responsible solutions for their snow and ice removal needs. Just a quick note to say that we arrived to an AWESOME parking lot this morning. Thank you for making the change to this company ... our parking lot was the best in the area ... and FAR exceeded what the street crews have accomplished during this heavy snow. I wanted to let you know that one of my tenants chased me down in the hallway today to tell me how pleased they are with the snow removal. She said they had some out of town guests (from Minnesota) who were very complimentary about our snow removal. She asked me to pass along what a great job they thought you did! BSR Services is always hiring skilled team members.